BEIJING (Sputnik) - The United States’ latest sanctions against China over its purchase of missile systems and combat aircraft from Russia, slapped just days after the announcement of additional steep tariffs, will only push Beijing and Moscow closer together in their resistance to unlawful unilateral restrictions, experts told Sputnik. On Thursday, the United States announced that it sanctioned the Equipment Development Department (EDD) of China's Central Military Commission (CMC) and its Director Li Shangfu for buying Russia’s S-400 air defense systems and aircraft in violation of the Countering America's Adversaries Through Sanctions Act (CAATSA). The move comes after President Donald Trump said on Monday that the United States would impose fresh 10 percent tariffs on $200 billion of Chinese goods that will take effect on September 24. On January 1, the tariffs are expected to grow to 25 percent. According to Bi Dianlong, an expert in relations with Taiwan and the editor-in-chief of Haixia liangan wang website, the US move will only strengthen Chinese-Russian ties. "The measures taken by the United States against the background of trade disagreements with China will only bring China and Russia closer. Some believe that China has run out of 'bullets' in trade war. However, trade and economic wars are not necessarily limited to trade measures, and, for sure, not confined to imposing mirror duties. The more attempts the United States takes to restrict [countries’] ties with Russia and Iran, the more strongly China will be seeking to negate the US sanctions," he told Sputnik. 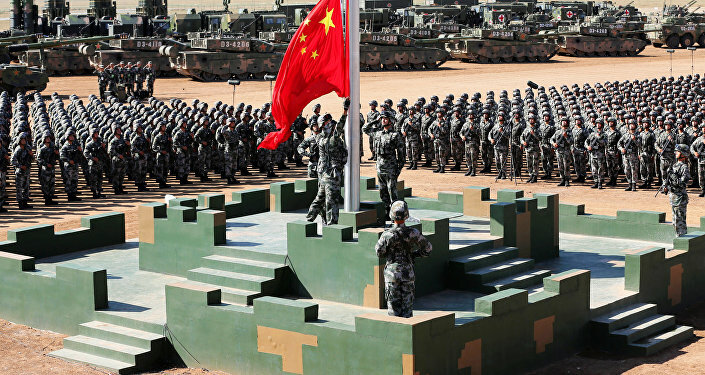 Secondly, China would strongly resist the US sanctions since rupture of military cooperation with Russia would result in weakening Beijing’s defensive capabilities amid the US ban on exports of military and "sensitive" technology to the country, according to the expert. Boosting ties with Russia will, in contrast, expose the United States’ helplessness, he concluded. Shen Yi of Fudan University also shared the view that Beijing’s strong military cooperation with Moscow will remain unaffected by the US sanctions. "[The sanctions] will not have much of an impact on China. 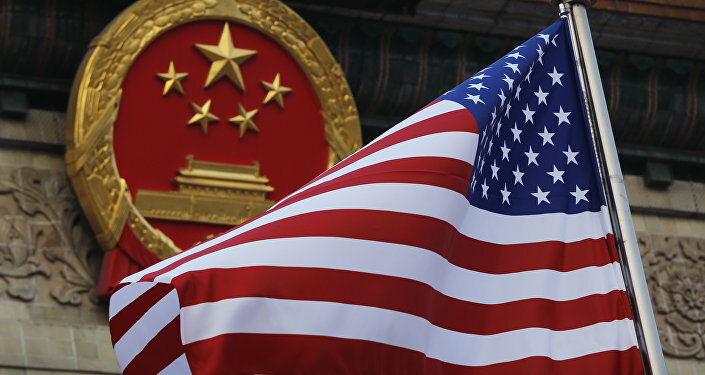 First, the United States does not sell modern weapons to China, with or without sanctions in place. In addition, against the background of trade row between China and the United States, no one [in Beijing] will pay attention to [the sanctions]. Finally, the Americans themselves spread information about the new sanctions somewhat stealthily, secretly, apparently, realizing that they behave in an infantile way, like capricious children," Shen told Sputnik. Shen stressed that the so-called sanctions against Moscow were part of "the US legislation which has its force only on US soil." "First, the UN Security Council never adopted a resolution on this matter. Secondly, China is not part of the system of military and political alliances of the United States. Thirdly, the US government is not the world government. Therefore, this piece of news is a perfect illustration of the hegemonic policy of the United States. It shows that the US government, getting increasingly insane, poses a serious danger to the whole world," he argued. Chinese-Russian defense cooperation, in contrast, fully complies with international law, being the result of the implementation of the principles of equality and mutual benefit, the expert stressed, noting that the strengthening of such cooperation was "in the interests of all those who stand for the cause of peace." Shen stressed that the latest round of sanctions against China proved Washington’s desperation to exert direct pressure on Russia and was an attempt to influence it through its partners. "The United has already played all possible cards against Russia, but failed to achieve the desired result. To damage the positive development of the Russian defense industry, the United States has to pressure nations buying Russian weapons. They expect to intimidate India and Turkey so that they would abandon the deals. However, this is not a good time. The United States needs India to implement its strategy in the Indian and Pacific oceans, and they similarly cannot do without Turkey in matters relating to Syria," the expert suggested. Bi also doubted that third countries, such as India and Turkey, would succumb to the US pressure and abandon their plans to buy Russian weaponry, suggesting that national security issues would prevail. The expert stressed that India and Turkey were more dependent on the United States in their policies and could be vulnerable to such sanctions. He, however, did not rule out that they would blackmail Washington by threatening with military contracts with Russia in a bid to obtain various advantages.